Oh, Mexican food…how you hold such a special place in my heart. I could eat you each and every day if you didn’t effect my waistline. Enchiladas? Fajitas? Chips and gaucamole? Oh yeeeaaah… (just not chips and salsa, as we learned about me in my previous caprese salad post, I have a love/hate relationship with tomatoes). 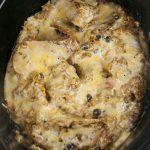 Just for you today I have simple and easy recipe for pork flautas that are baked and not fried! So because of that, I call this a healthy Mexican dish. The Sriracha and Greek Yogurt dipping sauce I made to go with these is simply fantastic, if I do say so myself. I put my own spin on it and thought it turned out really good. 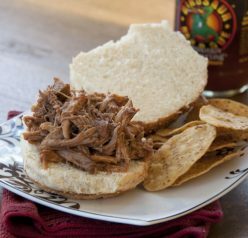 There’s just something about hot food dipped in a cold dip, don’t you agree? I will warn you though, it’s a tad on the spicy side thanks to the chili sauce! But, hey, all that spicy goodness is supposed to be good for your immune system… so don’t be afraid. Maybe that’s why I am hardly ever sick…. because I like my food so spicy that I sweat while I’m eating it. Just maybe. You can use salsa, sour cream, or gaucamole to dip these in, as well. Preheat the oven to 375 degrees. 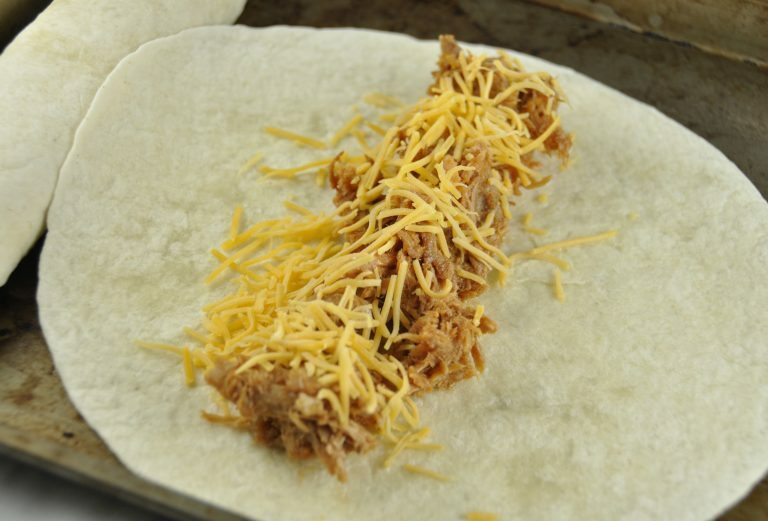 Fill each tortilla with 1/3 to 1/2 cup leftover pulled pork and 2 tablespoons shredded cheese. Roll tightly and place seam side down on an oiled baking sheet. Brush the flautas with olive oil or spray with cooking spray. Bake for 10 minutes, then turn them over and bake for another 10 minutes, or until crispy/golden brown. 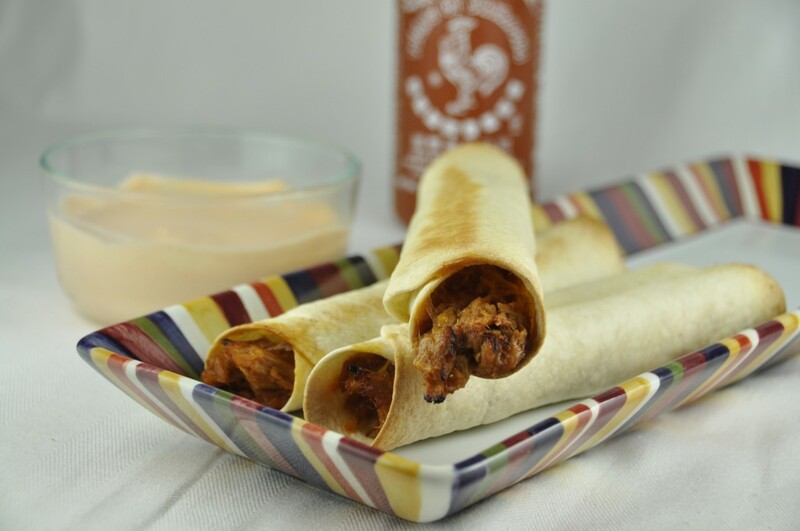 While the flautas are baking, mix together the Greek yogurt with the Sriracha chili sauce and lime juice. 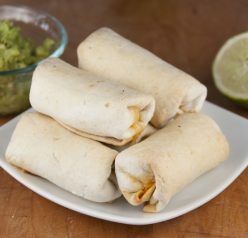 Serve flautas with Sriracha greek yogurt dipping sauce, guacamole, sour cream or salsa! Next Post » Happy 32nd birthday to the one and only! I live in Los Angeles, so of course I share your Mexican Food Obsession. And why aren’t Flautas on more menus? They’re so great. I agree! Thanks for commenting, Jackie! Flautas, they look so cute and tasty and I like saying the word. Adding the lime juice was a greart idea! I absolutely love flautas! I have got to try this recipe. To heck with your hubby, this sounds like Franco-American bland type Mexican food. For those of us who want it a little more spicy, what would you recommend? This is absolutely magnificent, scrumptious, delicious, super yummy baked pork flautas. It is very decadent, and the people in my office are happy today! Thx Ashley! 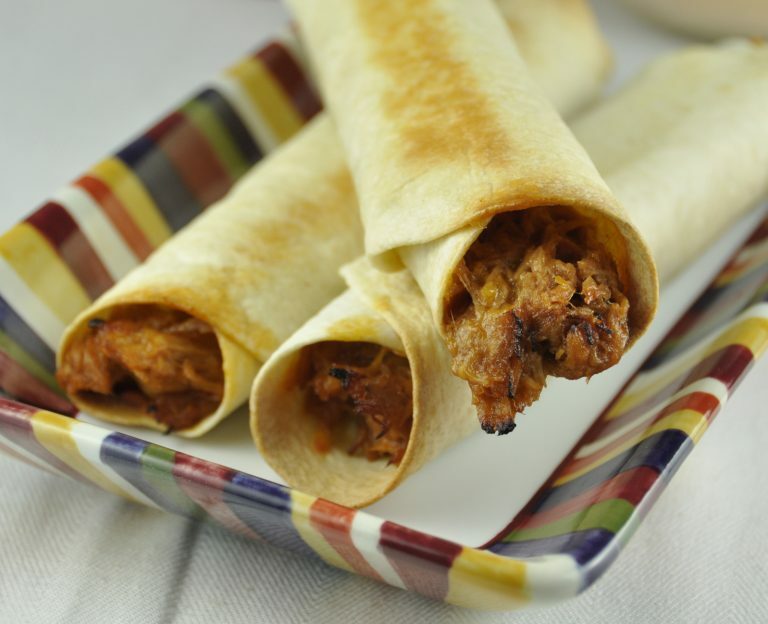 Absolutely love your creative idea with baked pork flautas! Never seen something like this! Definitely, I will try to make them too! Thx for sharing! I’m ashamed to say that I’ve never had baked pork flautas! This recipe looks great though so hopefully that will change! Thanks for posting it Ashley!